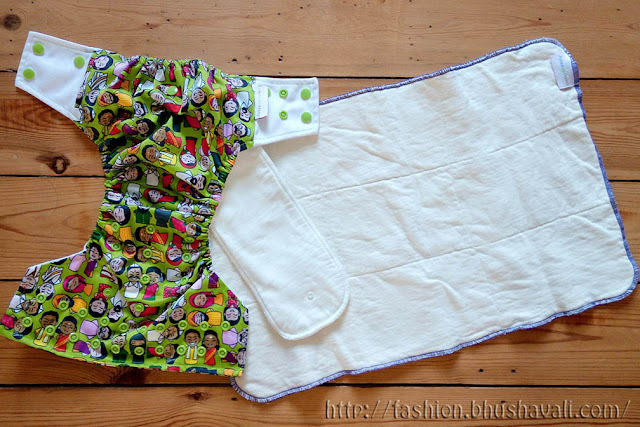 1 year of Cloth Diapering - Does it really work? I had a cesarean and was in hospital for a week. Throughout that, Atyudarini was given disposable diapers. Almost 5-6 diapers everyday! In just 7 days I created so so so much trash! Once back home, my mom tore sarees and we had already bought the traditional Indian langot diapers and this is how my cloth diapering journey began. 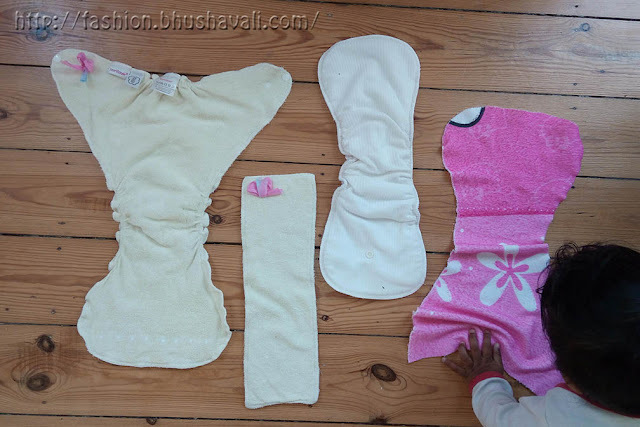 For almost 2-3 months, our night diapers were disposable and then eventually that too became cloth. 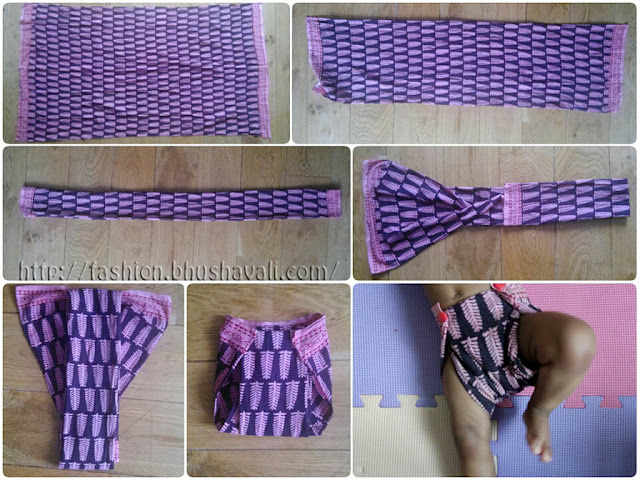 I then realized cloth diapers have become so modern and are being called so - MCD (Modern Cloth Diapers)! 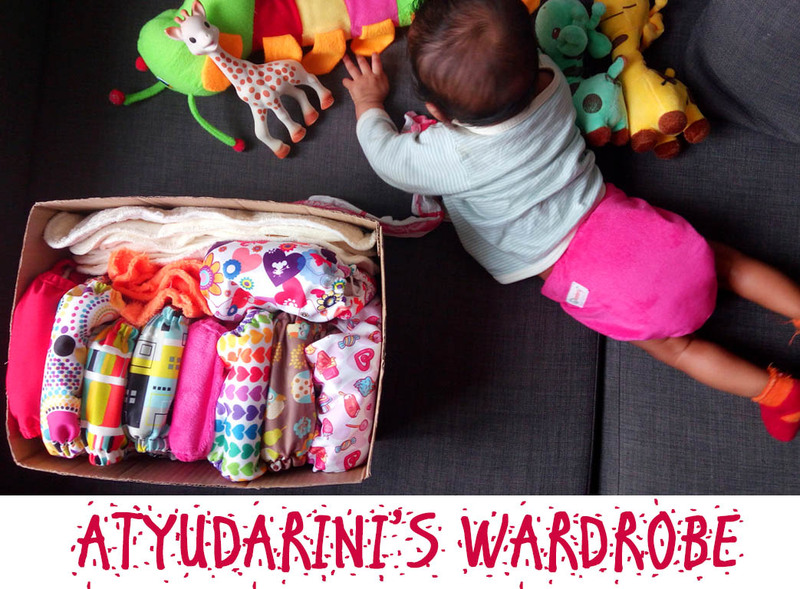 This month Atyudarini is going to be 1 year old and this is effectively my 1 year journey of Cloth Diapering. 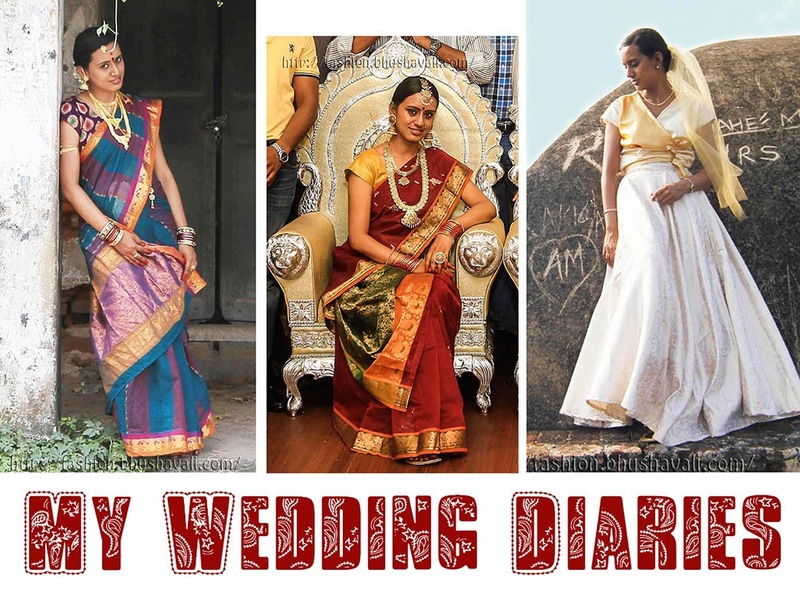 Best New Born Diaper: Hand's down, mom's saree!!! In other words - fine muslin, cotton flats. Here's the thing about Newborns. 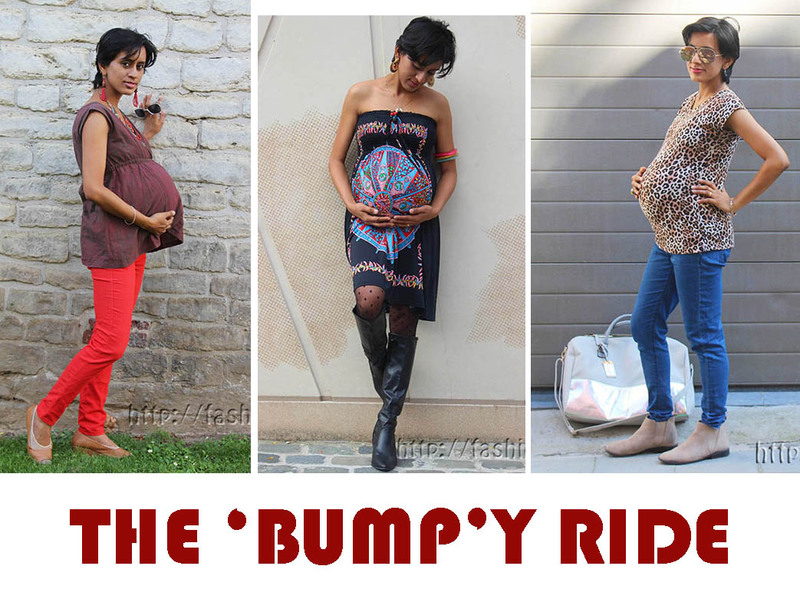 If you're reading this post, probably you're pregnant or a new mom. You know it already - they pee and poop A LOT! Its almost impossible to stock and wash and dry THAT many diapers! Flats are a savior. They dry super quickly and pee diapers can be hand washed then & there. This is approximately 2 ft x full width fabric folded as shown. This has to be changed after every pee/poop. When going out, a cover over this is all that's needed. Probably with a stock of 20 flats and 2 covers, you're good to go. Best Daytime Diaper: Superbottoms AIO & POOPS AIO Bamboo (Not kidding, that's actually the brand name). In the initial stages of cloth diapering, I preferred microfiber inserts and they were super easy to deal with. Now, within 1 year, most of the MF inserts I began CDing with are almost useless without a booster! They cannot hold even 1 pee of an almost a yr old child! The thing is, though it can technically hold the volume of liquid very well, an old MF insert doesn't handle the force of pee of an older baby as it did when she was 3-6 months! The bamboo, cotton and hemp ones on the other hand work wonders still. Though I change the day diaper once in 3-4 hrs, I prefer it to work for 6 hrs. Esp., when traveling, you may not find a suitable place to change in 3-4 hrs. The time might overshoot a bit, so I want my daytime diapers to work atleast for 6 hrs! Superbottoms AIO comes with 2 organic cotton inserts and Poops AIO comes with a bamboo terry insert. Read the dedicated reviews of Superbottoms AIO & Poops AIO here. Superbottoms has the trimmest crotch and withstands for 6 hrs easily. This has the best prints ever and showing them off in daytime is necessary, lolz! Poops on the other hand is literally the best friend of poop! It has double gusset and deep crotch that just won't leak even a bit! It is the best poop catcher ever!!! This single insert works for 4 hrs. While AIOs are great on the go (yes, I've cloth diapered Atyu on a flight with 2 stop-overs and combined travel time of 24 hrs), while at home, diaper covers and inserts are better. Better because, the covers can be reused till it gets wet or soiled, so the bulk in storage is much lesser than AIOs. The best combo that worked for me was a Microfiber with microfleece or charcoal bamboo insert with a bamboo terry soaker beneath! My favorite was by Blumchen. This works well for about 4 hrs. Best Nighttime Diaper: Heavy wetting, wet-sensitive, rolling baby here! So yeah, I need a diaper that absorbs a lot for 11 hrs but won't feel wet! My gal turns clockwise, anticlockwise, goes on tummy, side and back in the course of sleep!!!! So AIOs and Pockets, even if I fitted them well, when she's on side, end up leaking a bit. Blumchen and Imsevimse fitteds are my best friends.... Blumchen is made of bamboo terry and Imsevimse of organic cotton. The only trouble, neither have a stay-dry layer. As I said, she's wet sensitive and using a regular, rectangular fleece liner didn't work out. She'll wake up early morning in wetness!!! I bought a fleece blanket and cut it out exactly in the shape of the fitteds and use it. That said, these have the best absorbency. Blumchen has 3 layer bamboo terry and it also has a pocket in which I added a MF insert. Imsevimse has a 4 layer organic cotton terry and comes with a 2 layer booster as well and I add an extra MF on it. In either cases, on a heavy wetter, this works for 12+ hrs! The cover I use in either cases is of Blumchen with has a double gusset and deep crotch that completely wraps every bit of fitted into it! The next best are Ecopipo & Superbottoms. Why I say 'next' is because, they aren't ideally fitteds. When all my fitteds are off to washing, drying, I use these. In my earlier review of Ecopipo, I had mentioned that just its day insert is enough for night too. It was true then, but now, with a heavy wetting 10 month old, it isn't! The night booster also goes in now. Superbottoms UNO/AIO comes with 2 insets. As I mentioned earlier, its good for 6 hrs, but night diaper has to work for 10+ hrs. I use it with just 1 insert with their large hemp prefold, padfolded and kept beneath. This works again for 12+ hrs. Here's a little extra... When Atyudarini began standing up, she'd lose balance and sit down with a thud, several, several times every day! Mr.V, looking at this, said, "that's the best use of your cloth diapers, she has a cushion bum"!!! Thank you for diligently promoting ecofriendly diapers and how to save $$ on diapers. Very helpful info and hope its supply and availability to the market will increase. You guys there are so creative. This looks like a great idea and easy to develop.